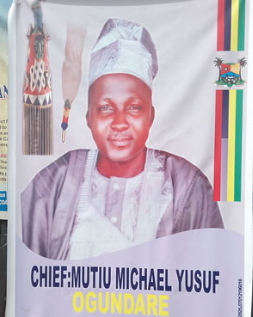 The Governor of Lagos State yesterday ordered the immediate removal of Chief Mutiu Michael Yusuf Ogundare, the Baale of Shangisha in Magodo Lagos for allegedly staging his own abduction. The troubled monarch was suspended temporarily on Friday after he was paraded by police alongside his brother Adams Mohammed. 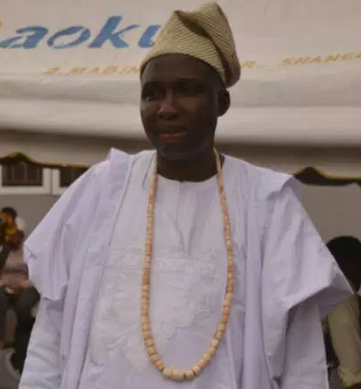 He was stripped off his duty yesterday by Ambode in accordance with section 38, subsection 1 of the Obas & Chiefs Laws of Lagos Inter-alia. What more can we say if a whole Baale can fake his own kidnapping then Nigeria is finished. A person that supposed to be a role model Oh God pls show us mercy in Nigeria. THEY THE ARE THE GODFATHERS TO ISIS BOKO AND BADOO.